Celebrating your birthday just got better. You can get your own zodiac special cocktails at Ninety Six bar at Trident Hyderabad. Although they have 12 cocktails for all the zodiac signs, here are three interesting ones. 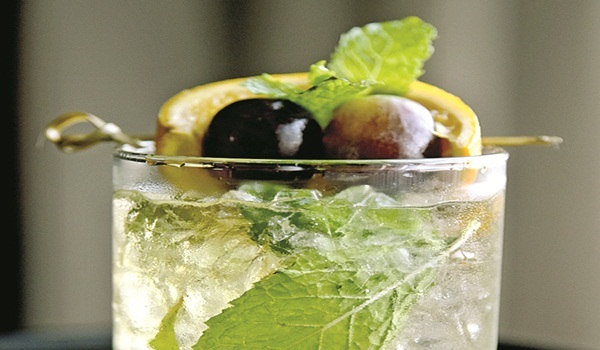 This drink is a combination of bourbon whiskey, sugar, mint leaves and crushed ice. Librans are known for their balanced life and diplomatic nature. They are kind, gentle, lovers of beauty, harmony and peace. a�?This reflects the character and taste notes of this minty cocktail,a�? adds Ashwin. The Arians will love this one made of Tequila, Cointreau, lime juice and watermelon basil and is served frozen. Arians are known for their vibrant and colorful character. They are energetic, enthusiastic and optimistic in nature which is justified by the apt selection of watermelon. Apart from these three, select from Taurus a�� Grannya��s Tom Collins, Gemini a�� French 75, Cancer a�� Cosmoclove, Leo a�� Electric LIIT, Virgo a�� Classic martini, Scorpio a�� Devils sting, Sagittarius a�� Tequila sunrise, Capricorn a�� B 52, Aquarius a�� Wine glazer. The birthday cocktails are available from September 11 – September 18 from 11 am – 2 am.